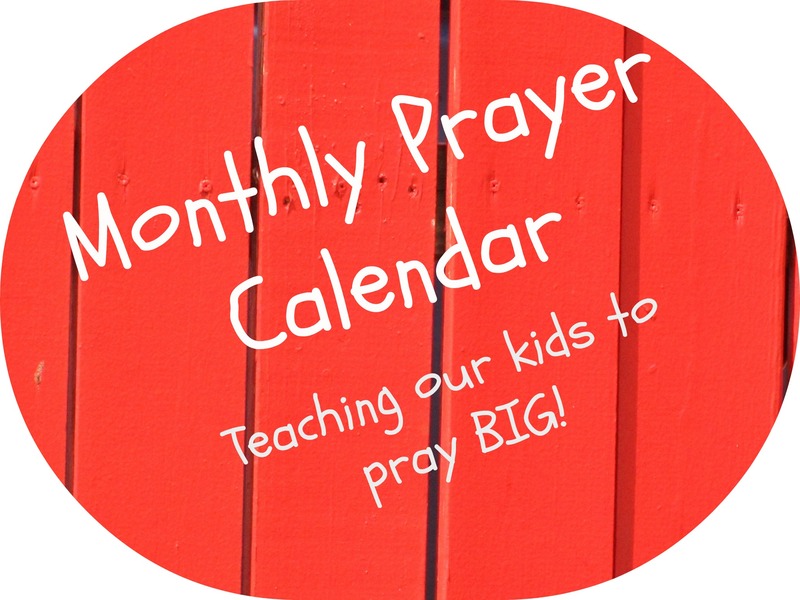 Welcome to the monthly prayer calendar page at Ministry Mom! I am so glad you are using the prayer calendars. I would love to hear your feedback. How are you using the prayer calendars? Are you finding them helpful? What would you like to see me add? If you have any suggestions, please send them my way! Also, if you enjoy the prayer calendars, you may enjoy the Friday Family Bible Times! 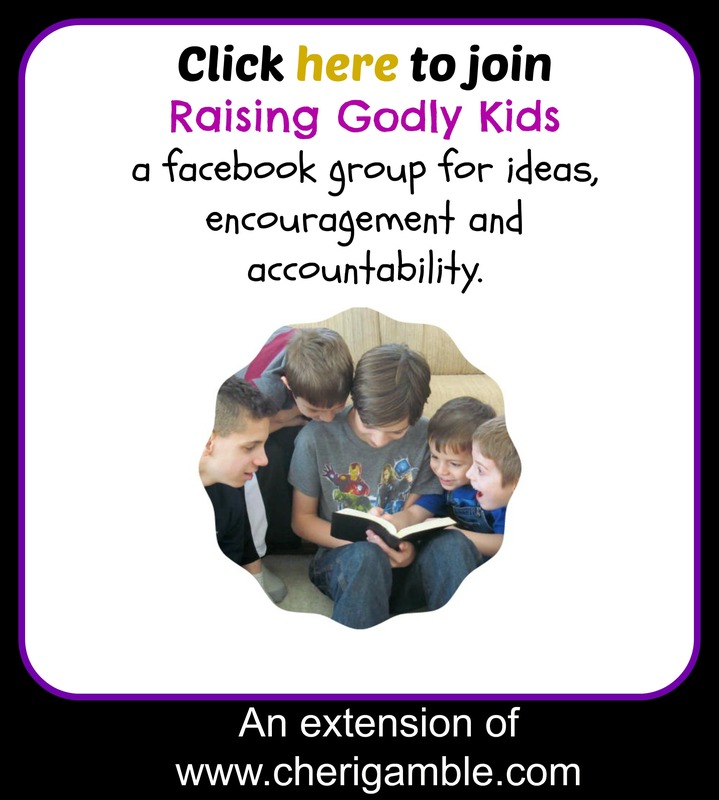 Every Friday, I am posting a whole bunch of ideas that you can do with your family to study a particular passage of Scripture! Be sure to check them out! And, to make sure you don’t miss anything here at Ministry Mom, follow my blog or follow me on facebook and twitter! And now it’s time for this month’s calendar! To get a pdf that you can print off, click on the link below. Otherwise, keep scrolling and you will see every day in this post. Have an awesome October and keep praying with your kids!!! 1 Pray for your neighbors. Pray that they will come to know Jesus. 2 Ask God to forgive you for any area where you need forgiveness. 3 Pray for the video game industry. 4 Offer to rake the leaves of a neighbor. Pray for them as you rake. 5 Elohim – Praise God the Creator! Praise Him for creation! 6 Pray for the mission field in Sierra Leone. 7 Pray for the principals at the schools in your country. 8 Pray for anyone in your family who is sick. 9 Pray for forgiveness for the sins of our nation. 10 Pray for the ability to say no when you need to. 11 Make caramel apples and give them away. Pray the whole time. 12 Jehovah Nissi – Praise God that He is victorious! 13 Pray for the mission field in closed Islamic countries. 14 Pray for your governmental leaders. 15 Pray for your siblings. If you are an only child, pray for yourself! 16 Is there anyone you need to forgive? Pray for them! 17 Pray that God will help your church leaders to resist temptation. 18 Carve a cross into a pumpkin. Pray for the people who will see it. 19 Jehovah M’Kaddesh – Praise God that He cleans us up! 20 Pray for the persecuted church in North Korea. 21 Pray for your church board. 22 Pray for the firefighters and police officers in your community. 23 Ask God to help you be a forgiving person. 24 Pray that God will help your parents to resist temptation. 25 Make cards about Jesus to pass out to trick or treaters. Note: If you go trick or treating, make cards and give them out to everyone who gives you candy! 26 El Roi – Praise God that He sees us!! 27 Pray for the Christians in Iraq. 28 Pray for the Women’s Ministry at your church. 29 Pray for the cashier at your favorite store. 30 Pray for those who have experienced tragedy to be able to forgive. 31 Pray for you to listen to and watch only shows that please God! Monday & Tuesday: “Your Kingdom come, Your will be done, on earth as it is in heaven” – praying for God’s will to be done in different areas. Wednesday: “Give us this day our daily bread” – praying for people who are close to us. Thursday: “And forgive us our debts as we forgive our debtors” – concentrating on forgiveness. Friday : “And lead us not into temptation, but deliver us from the evil one.” – praying for areas that lead to temptation. Thank you for this list! I’m pinning! Thank you! I know it helps my kids to have a list . . . and it also helps them learn that they can pray for ANYTHING! This is really awesome. I have never heard of Calendar Prayer like this for the kids. This will be great to add to our circle time everyday. Going to pin this. Thanks! I really enjoy using the calendars with my boys. We use them before lunch and it has really helped to make our lunchtime prayers much more meaningful. I hope the calendars help you, too! That is an awesome way to remember to pray. You may like Scott McKnight’s book The Jesus Creed. He uses the Lord’s Prayer as a guide to remind us to follow Deut 6:5 and love our neighbors well.